Cairo, 1887. A beautiful September day. Penrod Ballantyne and his fiancee, Amber Benbrook, stroll hand in hand. The future is theirs for the taking. But when Penrod's jealous former lover, Lady Agatha, plants doubt about his character, Amber leaves him and travels to the wilds of Abyssinia with her twin sister, Saffron, and her adventurer husband, Ryder Courtney. On a mission to establish a silver mine, they make the dangerous journey to the new capital of Addis Ababa, where they are welcomed by Menelik, the King of Kings. Back in Cairo, a devastated Penrod seeks oblivion in the city's opium dens. He is rescued by an old friend, who is now in the Italian army, and offered the chance to join the military efforts. Italy has designs on Abyssinia, and there are rumours of a plan to invade . 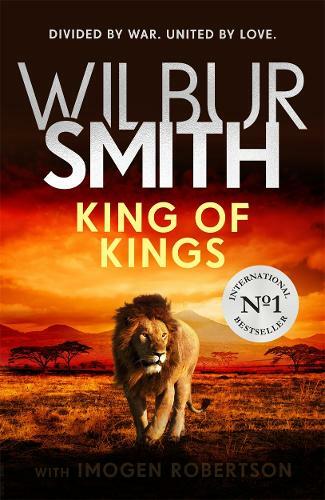 . .
A grand-master of Twentieth-Century fiction, South African novelist Wilbur Smith has sold enough novels to fill Wembley Stadium twice over in a career spanning more than half a decade and is best known for his ‘Courtney’ series beginning with The Lion Feeds and his Egyptian novels.